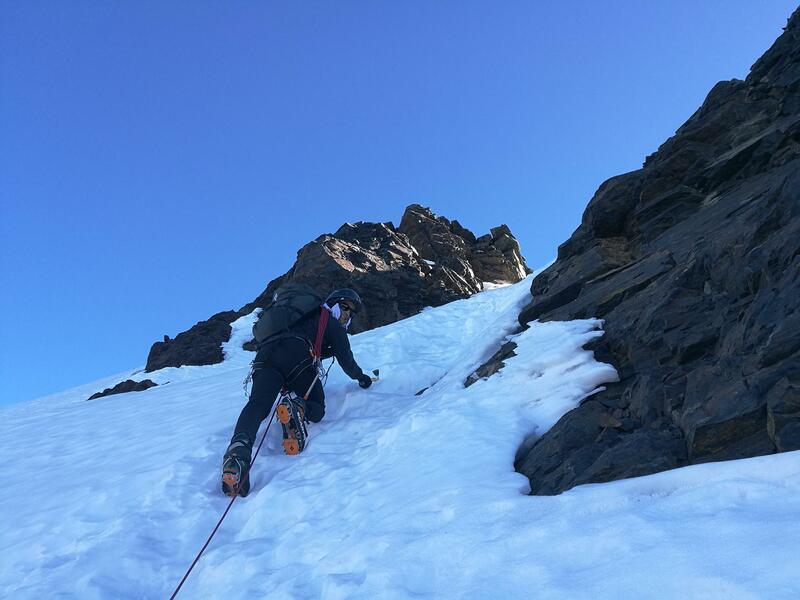 On this section we will present to you a series of programs design to those adventurers wishing to do trekking and mountaineering. 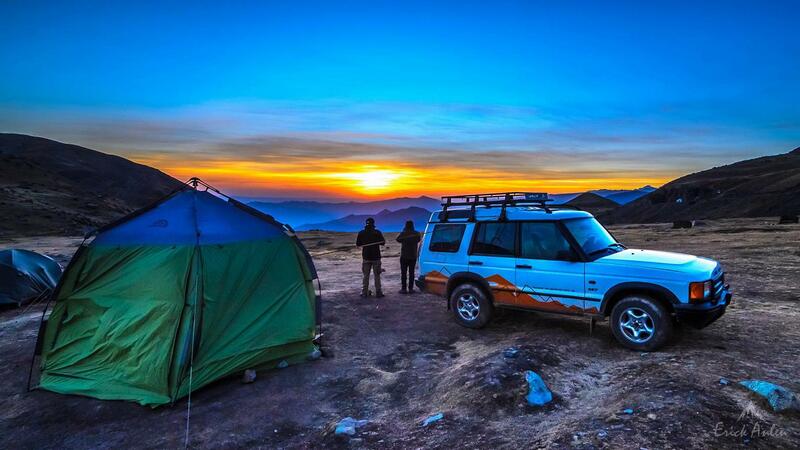 All of our expeditions can customized according to our clients desire. 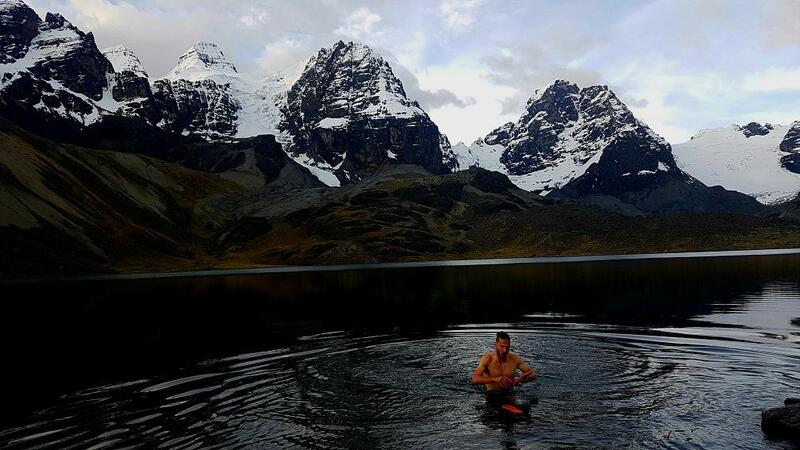 Our itineraries are designed to have a good acclimatization process. 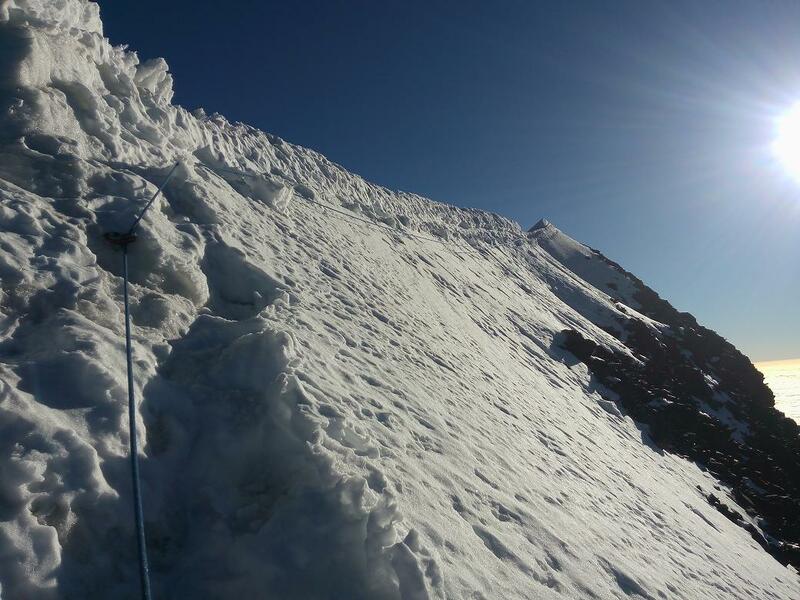 The difficulty of every climb will surpass the previous one as our skills and confidence increase with each summit we reach. 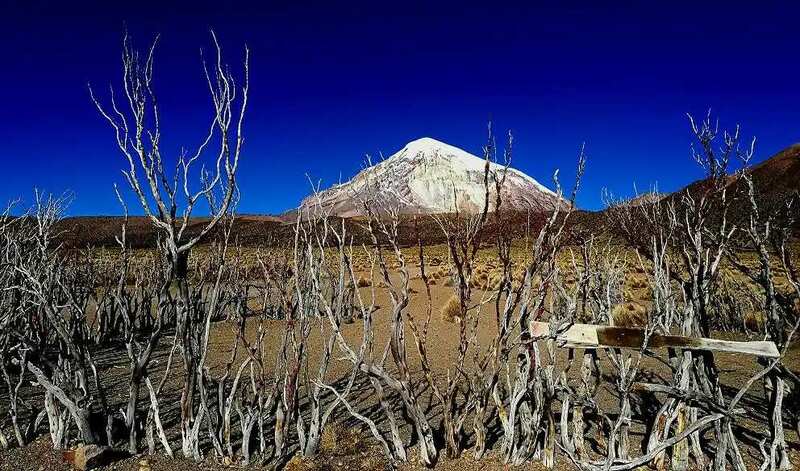 Our special expedition to Sajama National Park and the surrounding volcanoes is a perfect combination for those looking to do acclimatization hikes and non-technical climbing but wishing to reach the sky. All of this with the aim of standing on the top of Bolivia, Sajama at 6540m. 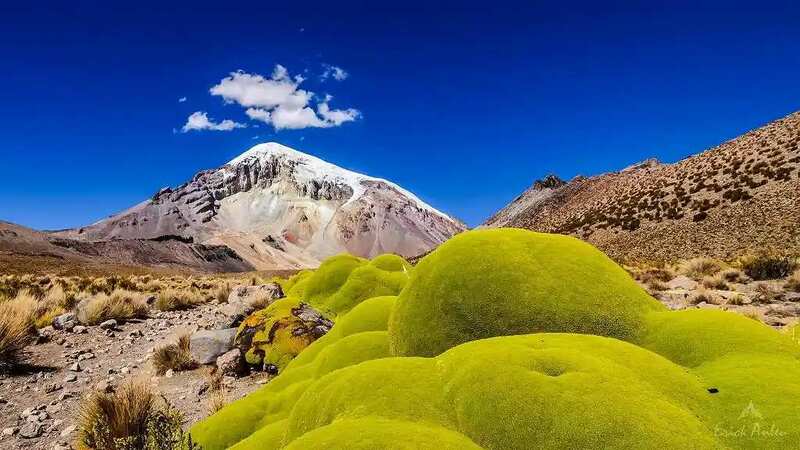 We leave the city of La Paz for a drive through the Altiplano which will allows us to admire the landscape as well as ruins and tombs from the “Chipayas” culture. As we get closer to our destination we start to encounter a more arid environment. 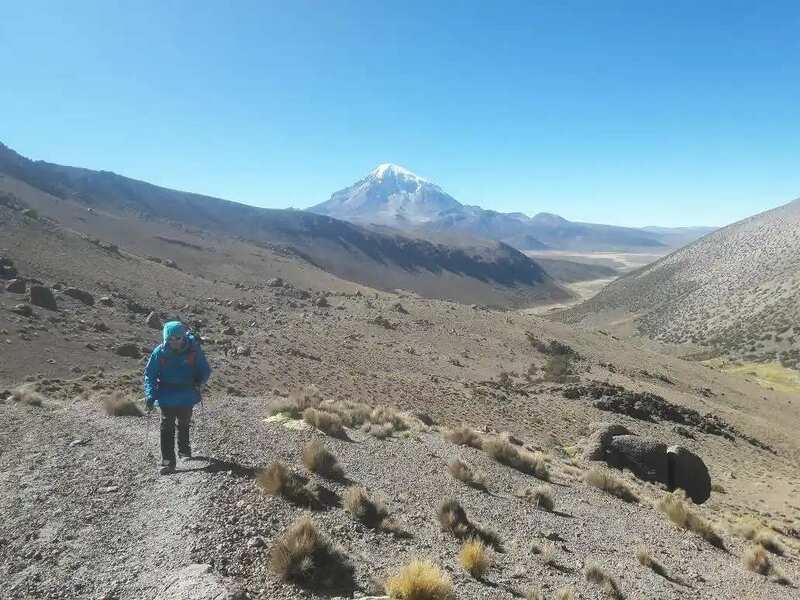 Once we reach the town of Sajama where we drop our luggage at the hostel we get ready for a short walk in order to help our acclimatization process. After having breakfast, we take our transport to get to the geysers. 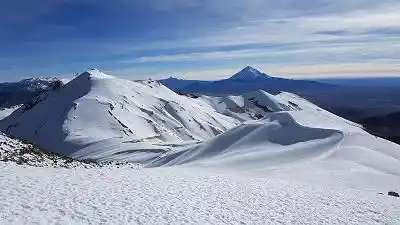 We will spend some time there to get ready for our hike towards the Bolivian-Chilean border where we are going to find some high altitude lagoons. The total time to get there is estimated in 5 hours. 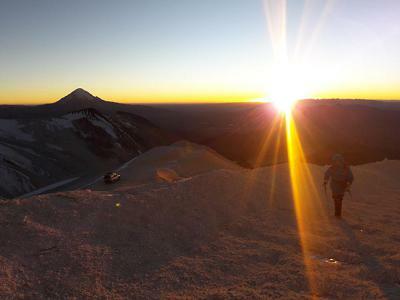 After enjoying the scenery, we make our way back to Sajama town while enjoying the sunset and get a well-deserved rest at our hostel. 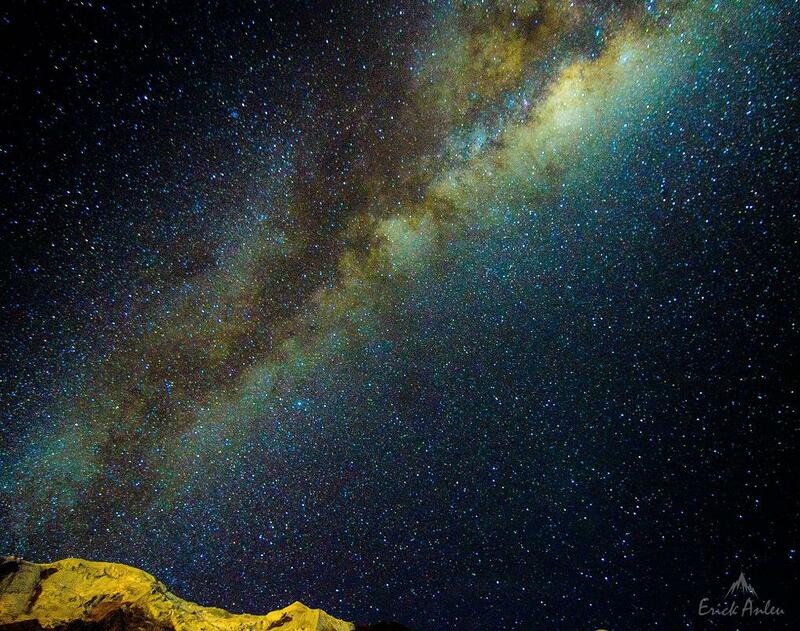 Having an early start, our transportation will take us higher than most would ever think. 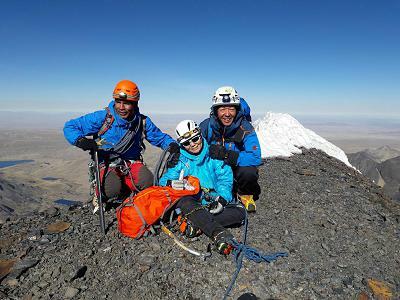 We get off the car at 5500m and get ready for our ascension to the summit which will takes us between 3 to 4 hours. Depending on snow conditions we may need to use crampons as our only technical equipment. Nevertheless, the use of walking sticks is recommended. Once we reach the summit and admire the breathtaking view we return through the same route to the car and drive back to our accommodation. 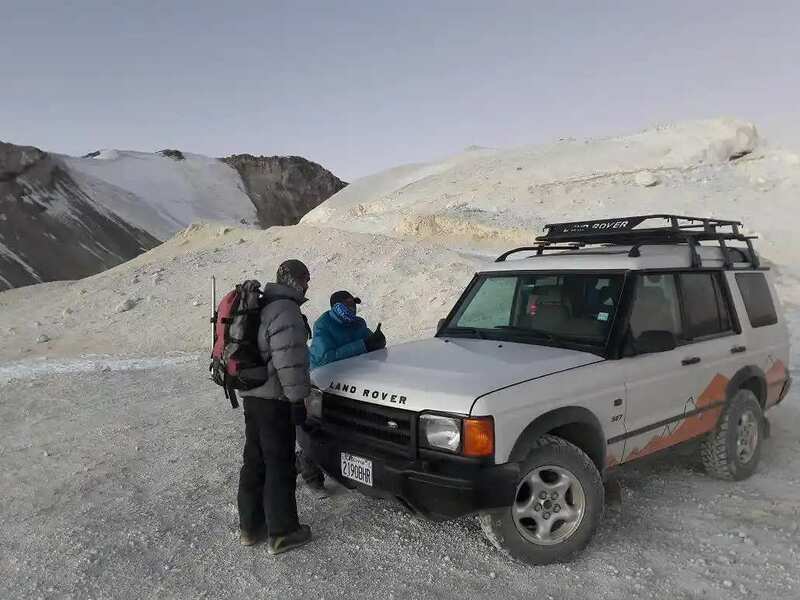 Our all-terrain vehicle will take us after breakfast to Parinacota´s high camp at 5100m where we will set in a shelter to rest for the what is left of the day. Waking up early we get all of our necessary gear for the summit push which starts in a mixed terrain of volcanic rocks and sand. Having reach, the base of the glacier we put on crampons to continue our ascension on slopes with inclinations between 40 to 45 degrees which will take us to the Parinacota´s summit where we will, get a great view of the crater and the surrounding volcanoes. The total time of our summit push is around 6 to 7 hours, after which we return through the same way. 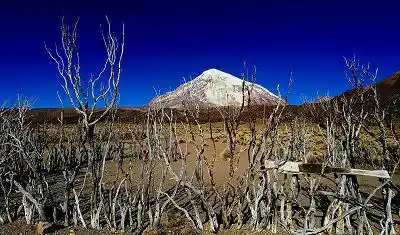 Once we reach our vehicle, we will start the drive back to Sajama town. This will be our resting day. 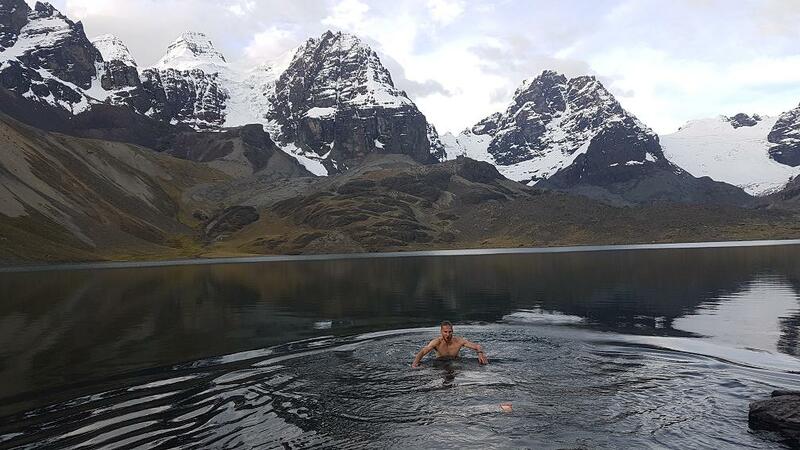 We will spend some time in the hot springs to relax and enjoy the views and more importantly regain some energy to our main goal, Sajama´s summit. After having breakfast at our hostel we will continue our drive to WINCURATA valley where there will be mules waiting to take our gear and equipment and start our 3 to 4-hour hike towards base camp at 4800m. 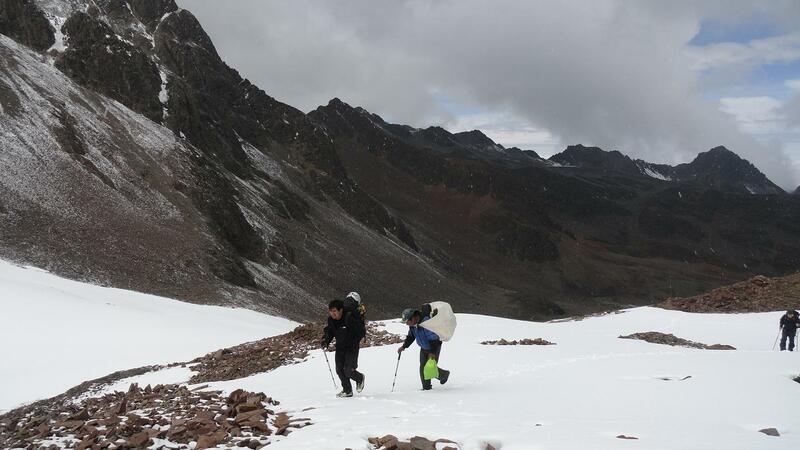 On this day our expedition heads to high camp at 5700m through a rocky and sandy trail. 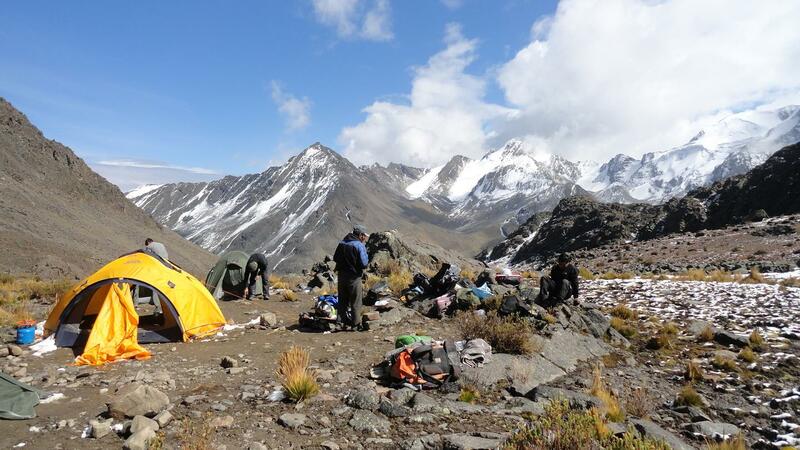 Local porters will take care of our luggage on what will be a 4 to 5 hours’ approach. We have an early start at 1am for our summit push. 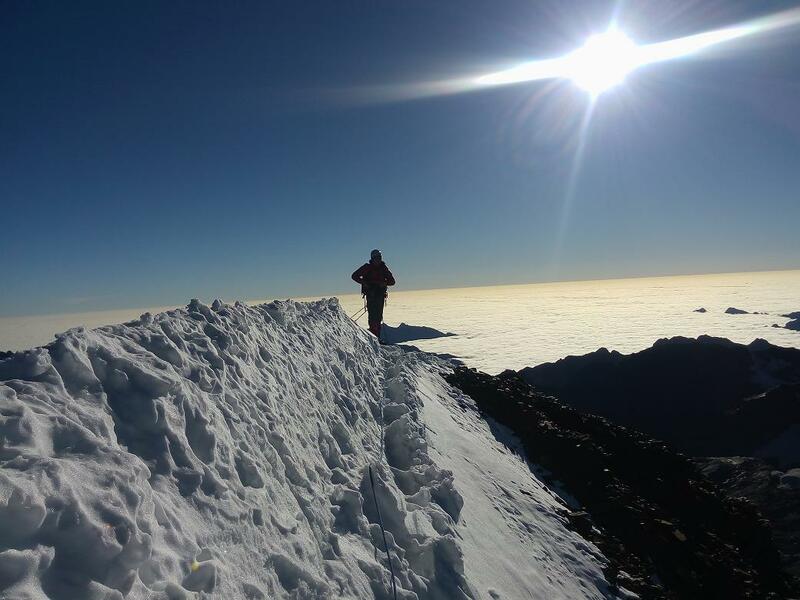 The first stretch of our route is a mix of ice and rocks with an inclination of up to 50° until we reach an altitude of 6000m, from this point onwards the inclination of our route moderates and we are faced with a long walk over the glacier which takes us to Sajama´s top at 6540m. 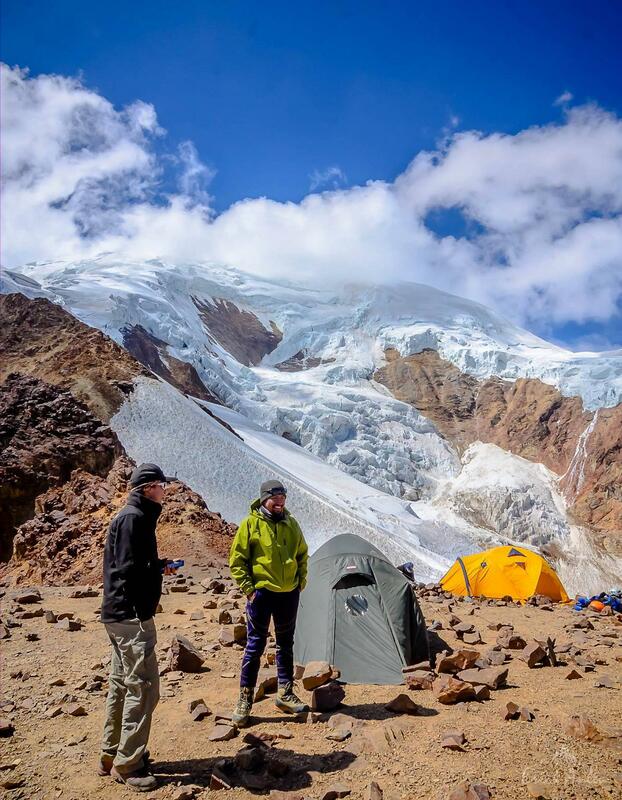 Having returned through the same route to high camp we have a short break which is followed by our walk down to base camp where we will spend the night. 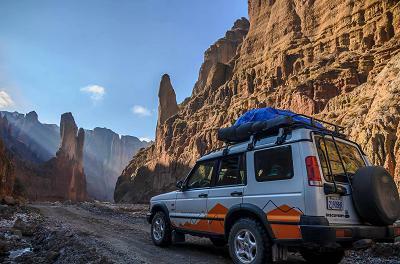 After getting all of our gear ready, we get back to WINCURATA valley where our vehicle will be waiting to take us to the hot springs in the park and then finish our journey to La Paz. 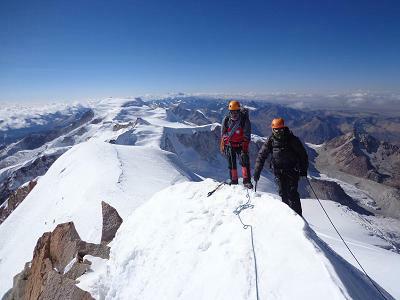 This is a special expedition as it combines climbing two giants above the 6000m mark. This combined program it´s great for those looking for rarely frequented mountains. We leave the city of La Paz early in the way to Copacabana where we will take the exit heading to Peñas. 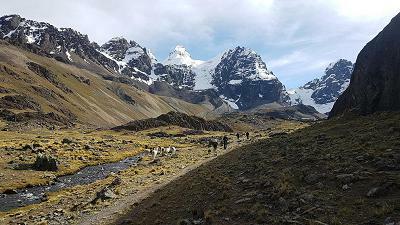 Our drive will finish by the time we reach a small community known as Alto Cruz Pampa where there will be mules waiting to take our equipment. 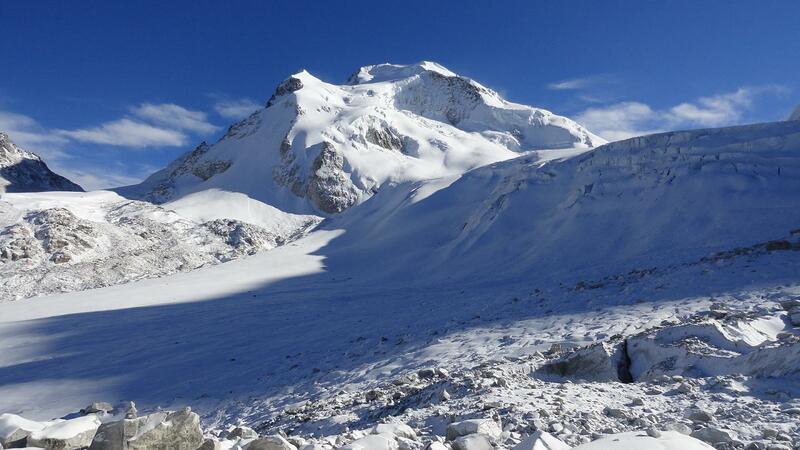 We will walk through a picturesque valley until we reach base camp at 4650m. On this day we will be walking to the base of the glacier where we set high camp 5200m. Local porters will help us with our gear and equipment. 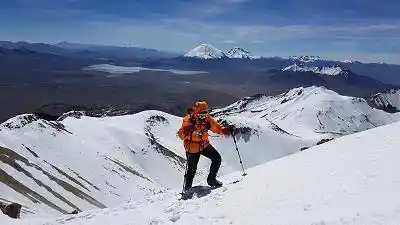 We leave very early high camp following the route on a glacier plateau surrounding “Pico Centinela” which will take us to the summit at 6070m. 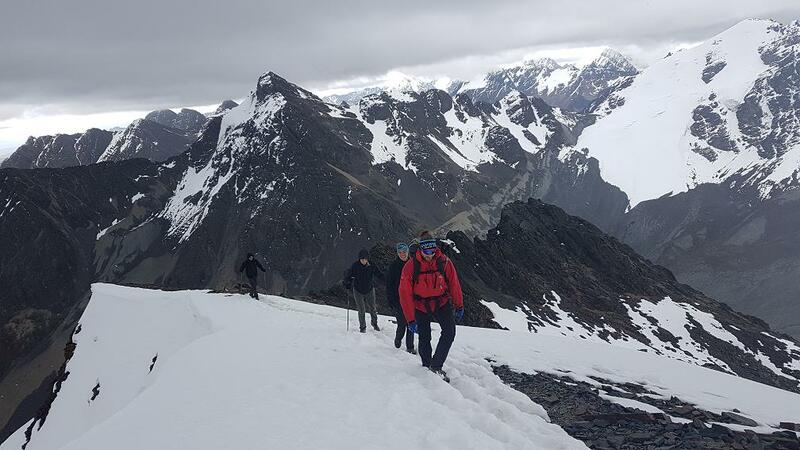 Our descent to high camp will take us through the same route, once there we get all of our gear ready to go back to base camp and spend the night there. We leave all of our camping and climbing gear packed for the local porters and initiate our approach to CHEAROCO base camp at 4600m. 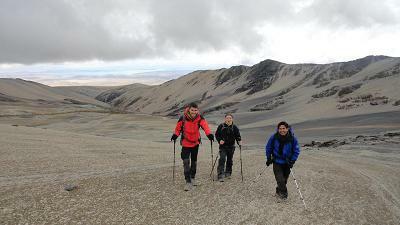 After getting some breakfast we start our walk towards high camp (5200m) through mixed rock and moraine. We expect to spend 4 to 5 hours hiking. 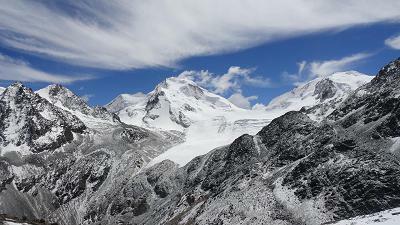 We begging our ascension very early to traverse the glacier which an average inclination of 45 – 50 degrees which will take us to the top of Chearoco at 6127m. We make our way back to high camp and get some rest. 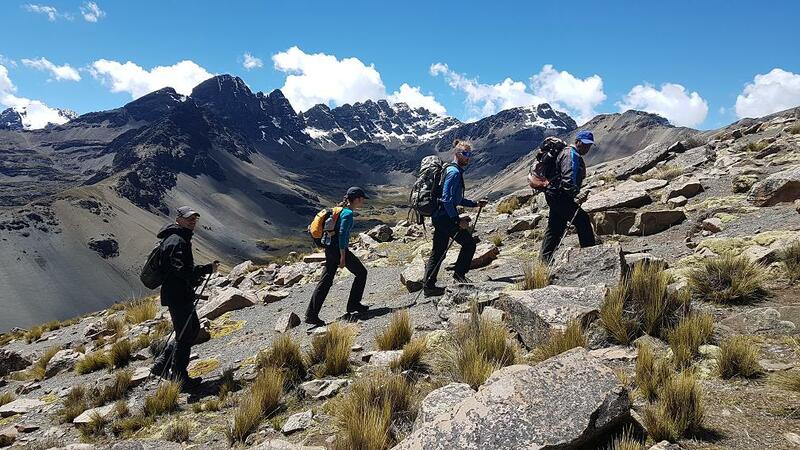 Once we get some food in the morning, we start our way down to base camp where we will stop for some rest to then later continue to our transportation that will takes us back to La Paz. This program is designed to those looking for a challenge in Cordillera Real. 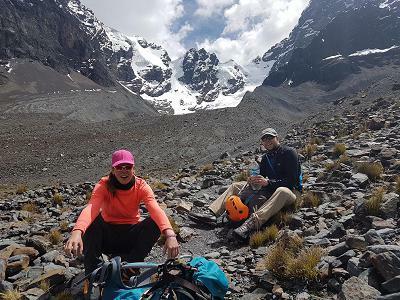 Our trek in the area combines acclimatization hikes along with climbs to the most popular peaks of the region through normal and technical routes. Over the course of 13 days we will be going to 4 summits over the 5000m mark and on our last day we will face RutaFrancesa (French Route) on Huayna Potosi at 6088m. 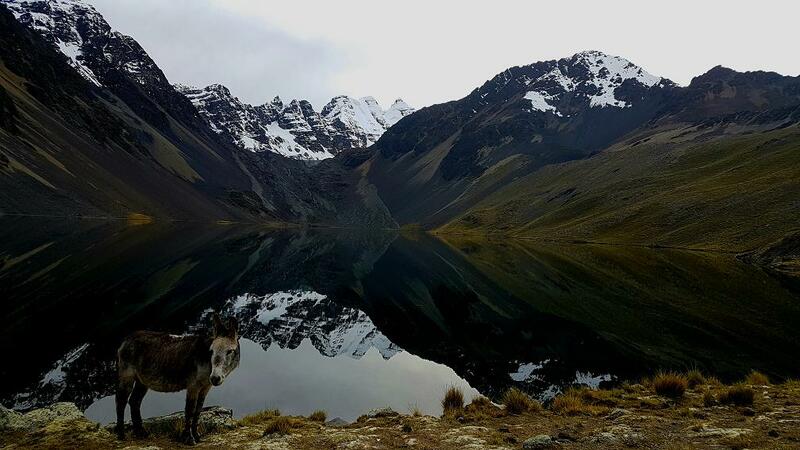 We leave the city of La Paz to KHOTIA LAGOON (4570m) where we will organize our luggage for the mules which will be accompanying us through the trek. 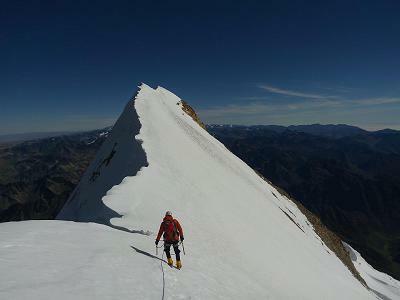 Following this we progressively gain altitude until que reach our first mountain pass at 4820m. From this point Lake Titicaca and the Altiplano are visible. 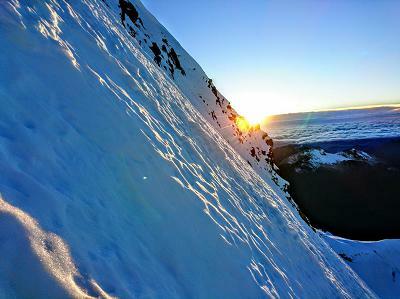 We begin our descent towards AJUANI which serves as our first camp in the expedition. 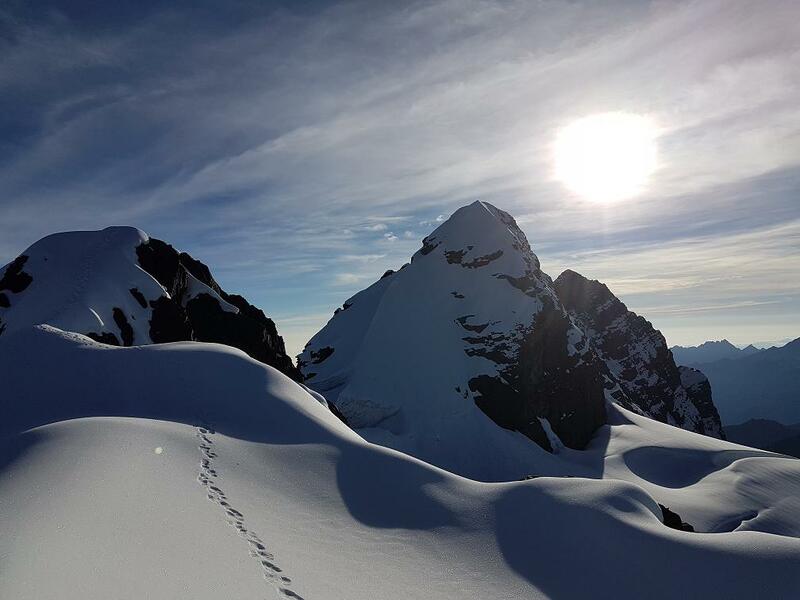 After some good breakfast we set off to reach the first pass of the day where we will get the first sights of the imposing Huayna Potosi and the Condoriri Massif. 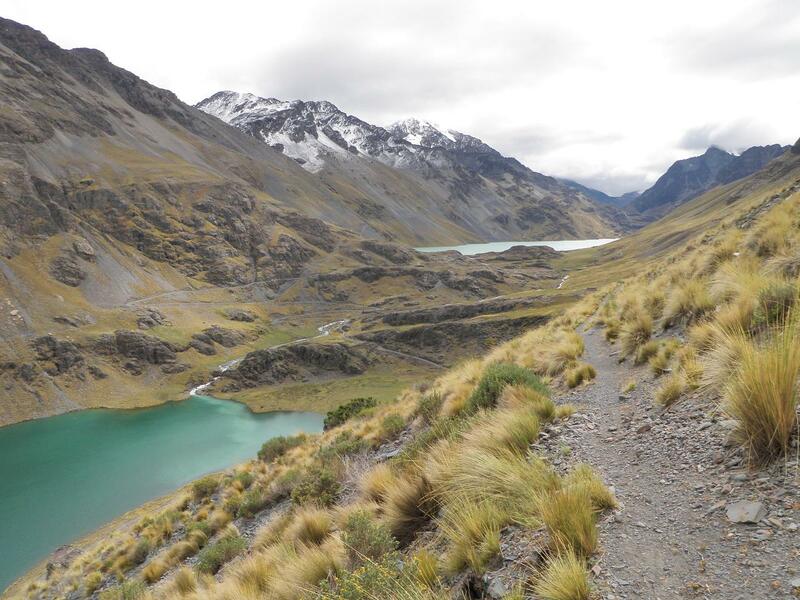 Following our way, we descent through a moraine to our lunch site next to Laguna SISTAÑA. 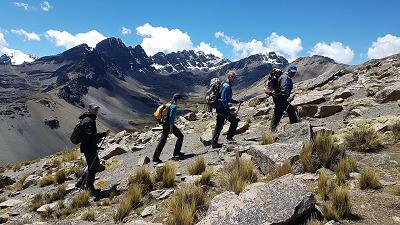 We carry on hiking for our final ascension which takes about a 1 hour, as we move further more of the Condoriri is seen. 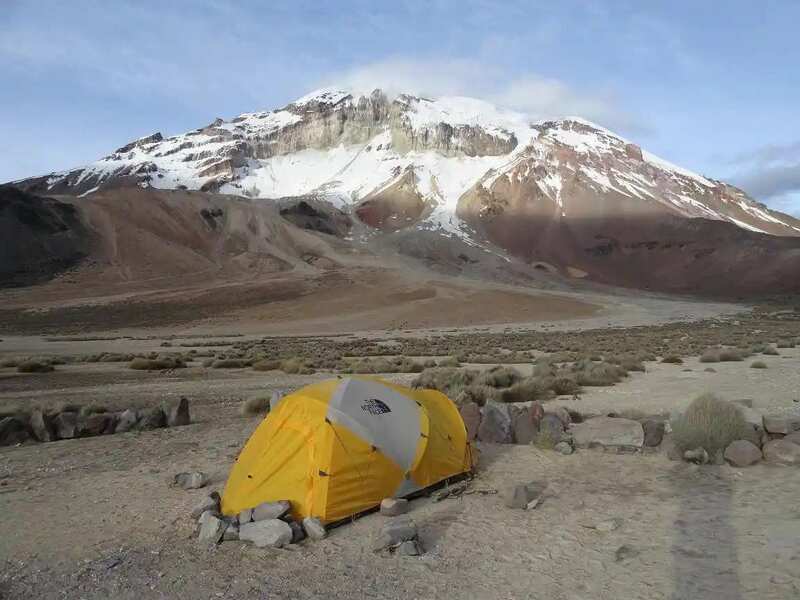 We finish the day going down to set our camp around Laguna JURIKHOTA. We start the trek around the lagoon to then make our way up towards Laguna GLACIAL at 4900m where the Condoriri massif will be right in front of us. After taking a short break we continue to get higher up and reach AUSTRIA pass at 5150m. At this point we can either go to the top of PICO AUSTRIA (5300m) or keep going down to set our camp next to Laguna CHIAR KHOTA (4600m). 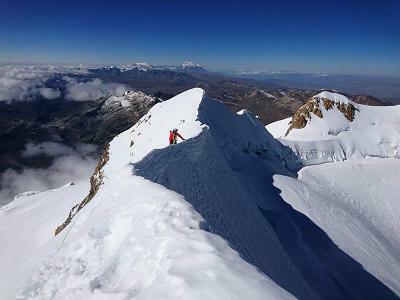 On this point we will get food and organize our climbing gear. 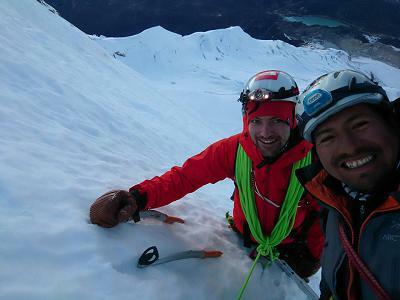 After a hefty breakfast we organize all of our climbing gear, and depart towards the base of the glacier. 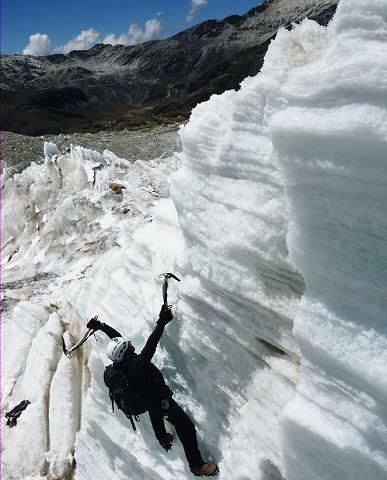 This will be a day to learn and refine different techniques associate with mountaineering such as glacier traverse, knots, and use ice axes and crampons. We will return to base camp to plan the details of the next day and rest. 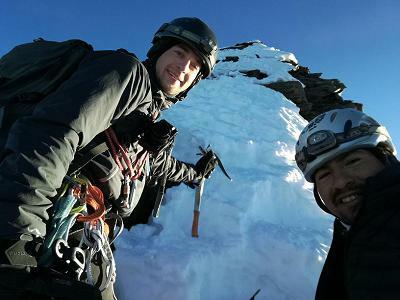 Today´s objective is to get our body well acclimatized as well as practicing what we have learn during the previous days by reaching PIRAMIDE BLANCA (White Pyramid) summit at 5248m through the normal route. 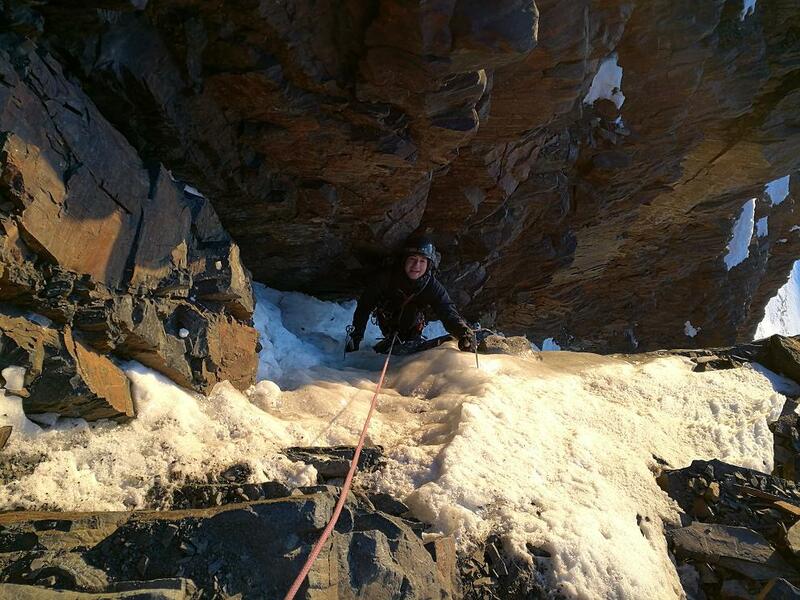 This route approach will allow us to refine our skills on the mountain. We set off very early to start our approach to the base of the glacier to one of the most beautiful mountains of the region PEQUEÑO ALPAMAYO. Having reached the glacier, our ascension will take us to Pico Tarija (5250m) where we will get a wonderful sight of PEQUEÑO ALPAMAYO. From this point we descend 70m to the base of the peak and begin our final push to the top of “El Pequeño” at 5370m. This will be a long day. This will be an easy day for us, where we will rest and re gain some energy from all the trekking and climbing we have been doing. Good food along with some wine for today!!!! We will wake up early in the morning for our ascension to CABEZA DEL CONDOR (5700m), a technically more challenging summit but with more experience on our backs we will be ready to confront this mountain. This approach takes from 6 to 7 hours on moraine and rocky terrain which is followed by a narrow section of ice and rock. 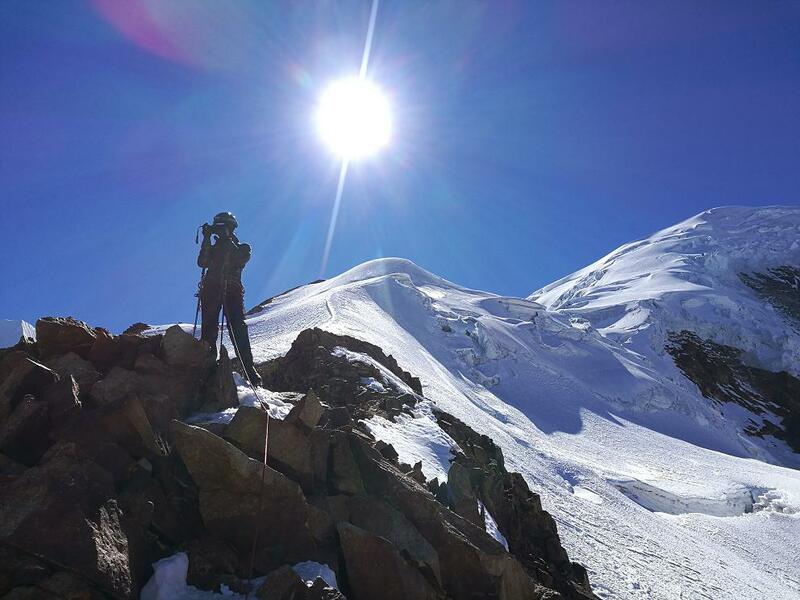 After summiting we return to base camp. From this point we will leave our crampons and ice axes packed so that we can focus on trekking. 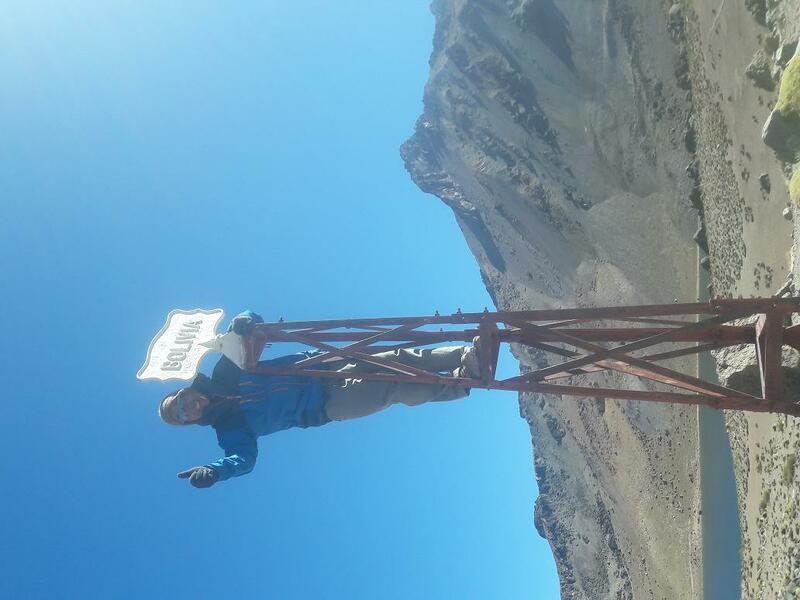 We will only go through one mountain pass, JISTAÑA (4900m) after which we will descent to RACACHA VALLEY passing through old mining centers. 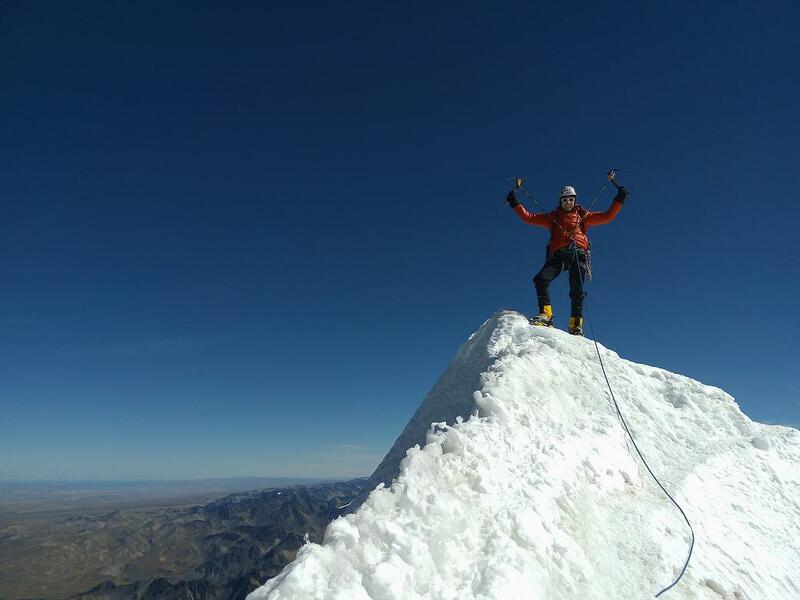 We then reach the western face of HUAYNA POTOSI and the mountain MARIA LLOKO (4450m). At 4850m HUALLATANI is the only pass we have to cross this day. A walk around MILLUNI peak wait for us, which takes us to HUAYNA POTOSI base camp (4700m) where we will spend the night in a refuge and have a well-deserved shower. After a good breakfast we leave towards the base of the glacier 45 minutes away from the hut where we will learn some more advanced techniques on ice climbing and mountaineering. Once we are back, we will get a well-deserved dinner and tea before going to bed. Having had a good breakfast, we start our hike to our refuge “MOUNTAINEERS HOUSE” as our base camp at 5130m. 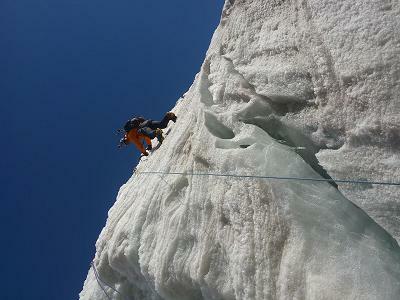 Our approach from base camp will take us between 2 to 3 hours. 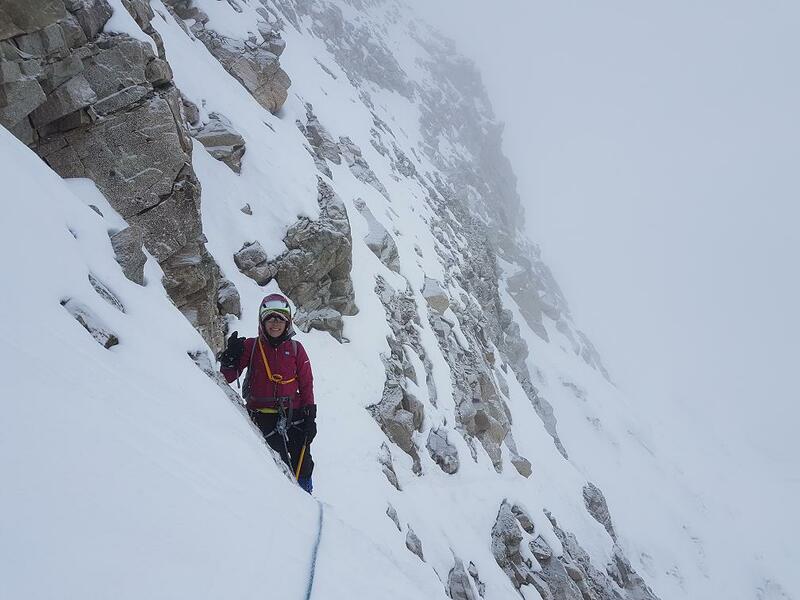 We will spend the rest of the day resting for our summit push. We will start very early at night. This is a very important day as we are going to put on test all the skills and techniques we have learnt throughout our expedition in Cordillera Real in climbing Huayna Potosi through French route (AD). On reaching the southern summit we then make our way to the northern summit which is the highest one. Our approach starts at 2am from high camp where we follow the normal route up to an altitude of 5500m where we take a detour to get close to the southern face. 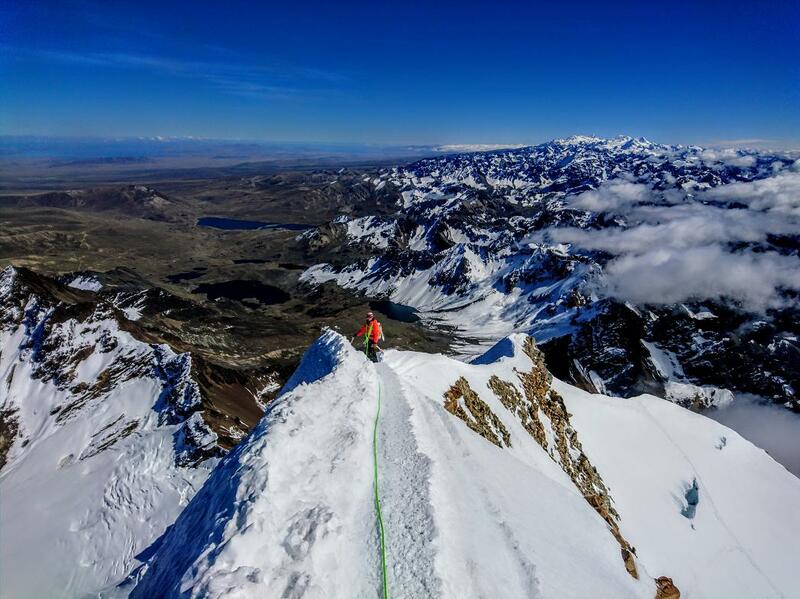 We get a quick break to catch up our breath after which we start our ascension on a 300m wall with 60 to 65 degrees of inclination. 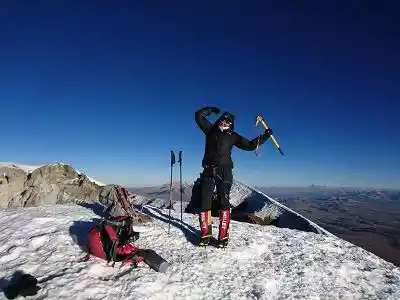 Once we reach the crest we continue to the norther peak at 6088m, where we will finally see the amazing views of the top. 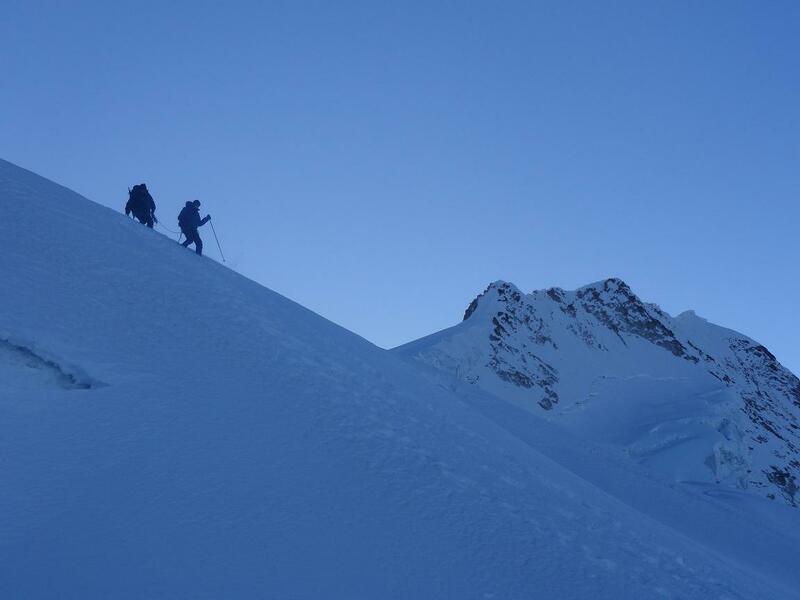 We make our way down through the normal route up to high camp where we will have an hour of rest. We finalize our expedition going down to base camp where our vehicle will take us back to La Paz. This program offers an interesting expedition by combing a relatively easy climb such as MURRURATA and a more technically challenging route to Illimani´s south summit. 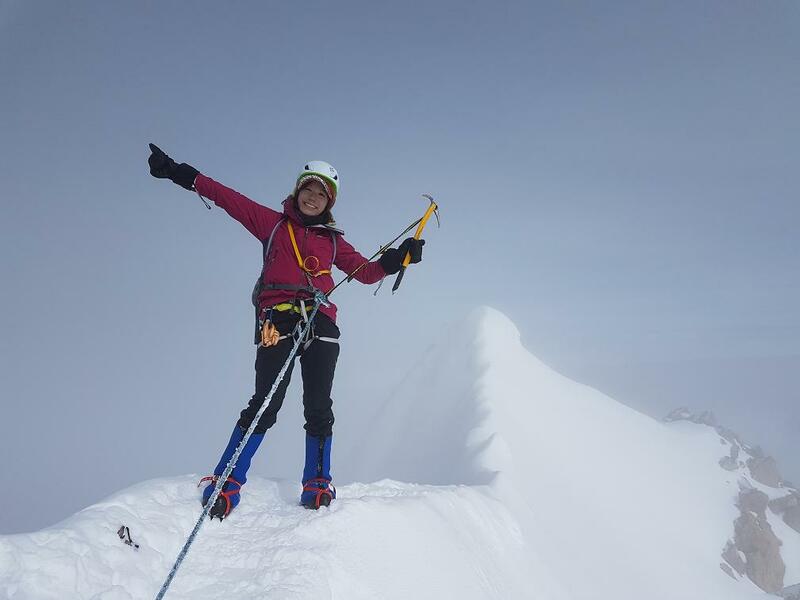 Although we present two different faces of mountaineering this program is recommended to climbers with moderate experience. 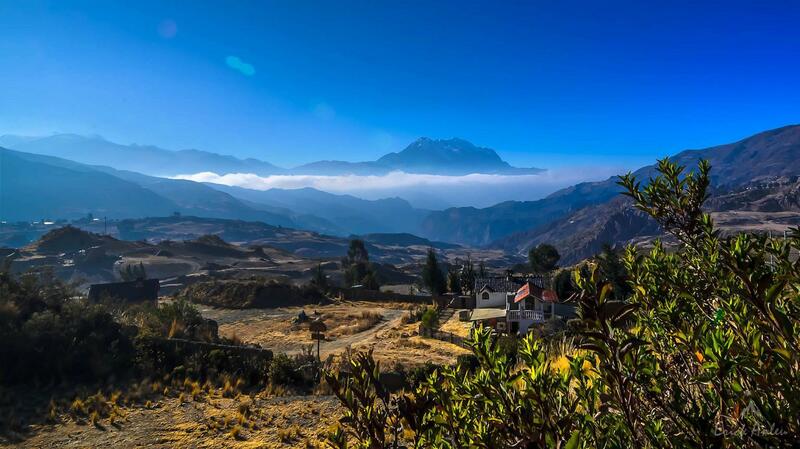 We leave the city of La Paz for a 3-hour drive that will take us through valleys and creeks. After getting all of our gear ready we set off to base camp. It will be around 3 hours’ worth of walking until there at an altitude of 4700m. 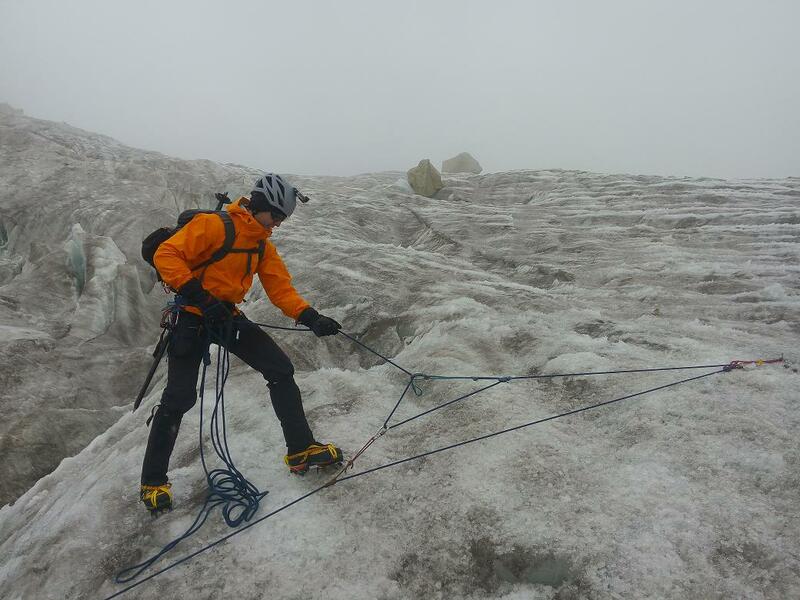 Our approach to the glacier has an early start. The walk to the summit of MURRURATA will take us 5 to 6 hours on very gentle slopes. 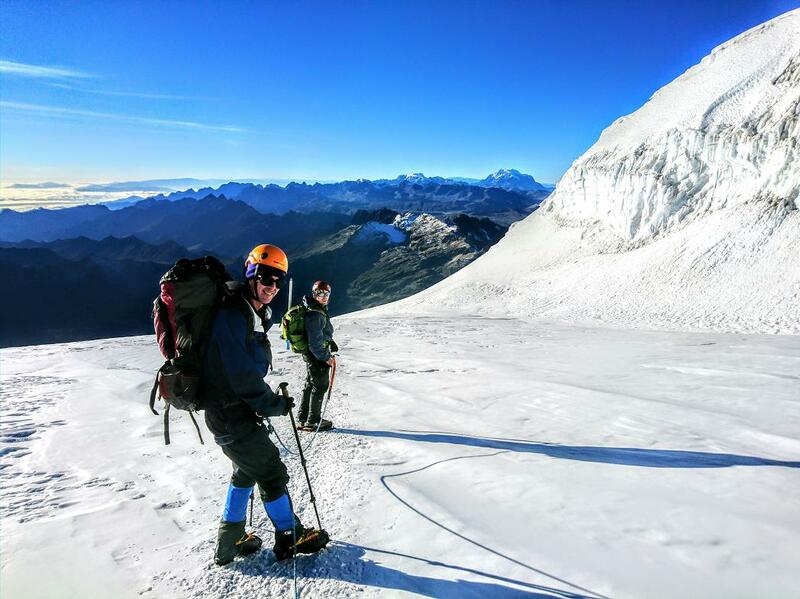 On arrival to the summit we are faced with some incredible views of Illimani and the formation of several rivers which go to Yungas Valley. 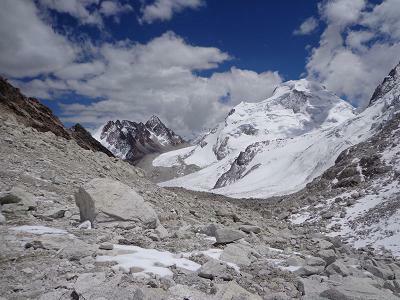 We will take the same route back to arrive to base camp and continue to a valley near the main road to set our camp. 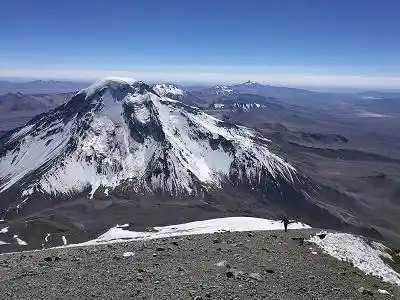 On this day we will take our vehicle to Pinaya (3800m) where there will be muleteers waiting for our camping and climbing gear. After a 2 hour hike we will arrive to Puente Roto which serves as our base camp (4600m) for Illimani. 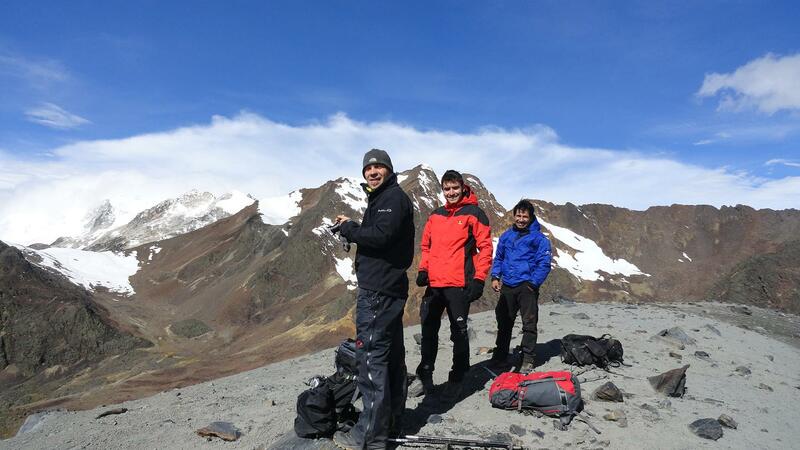 After breakfast we organize our equipment for the local porters. 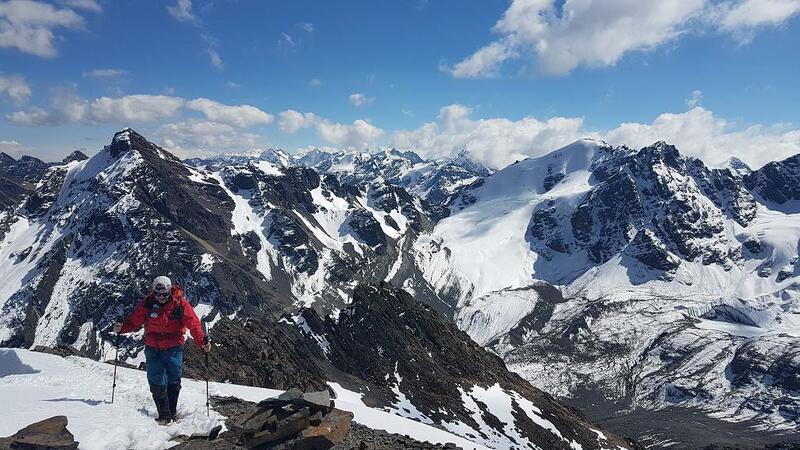 Today´s hike to Nido de Condores, our high camp (5550m) will take us around 5 hours through a moraine and rocky paths after which we will get some rest. We will wake up at midnight to get our equipment ready and have some breakfast to start our ascension at 1:00 am. 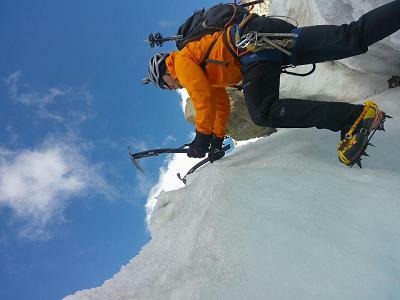 Our summit push will take anything from 6 to 7 hours through a broken glacier with inclinations up to 50°. 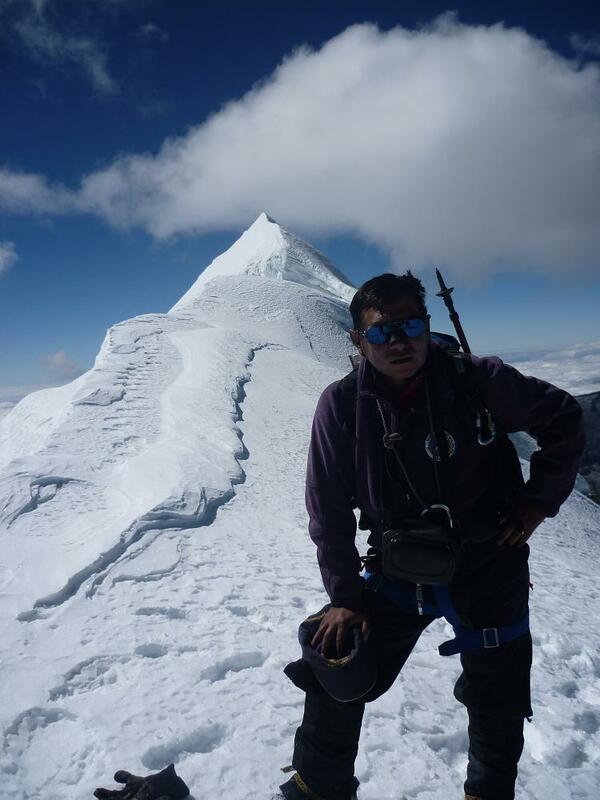 Before reaching the summit we will be walking on a crest leading to the very top of Cordillera Real at 6442m. 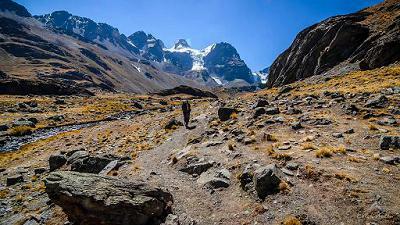 Returning the same way we arrive to Nido de Condores to get some rest and have our equipment packed and start our way down to base camp. 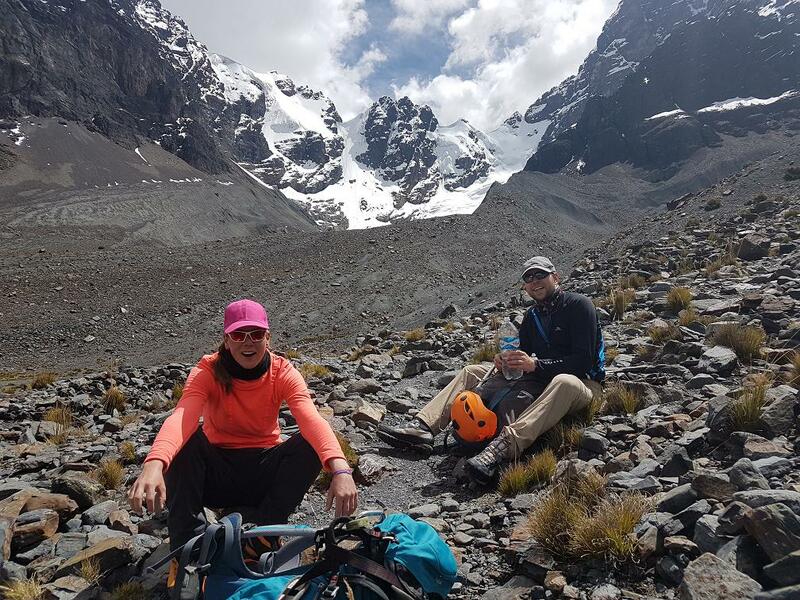 Once we get a hefty breakfast and our equipment packed and ready, we start our walk to Pinaya where the vehicle will be waiting for us to take us to La Paz.